Many of us have an idea of what we’d like our yard to look like. If we just buy some plants that we like and set them in the ground, maybe with some advice from a clerk at the local garden shop, we will have a magazine-worthy outdoor space built with our own two hands. Who needs a landscape architecture firm, right? The reality is a bit different. Unless you are truly an expert in horticulture and design, your outcome may vastly differ from your expectations. In the end, hiring a landscape architect could actually save you money. A landscape architecture firm will help you avoid costly mistakes and spot potential issues, like slow drainage or problematic sunlight patterns, before you start planting. 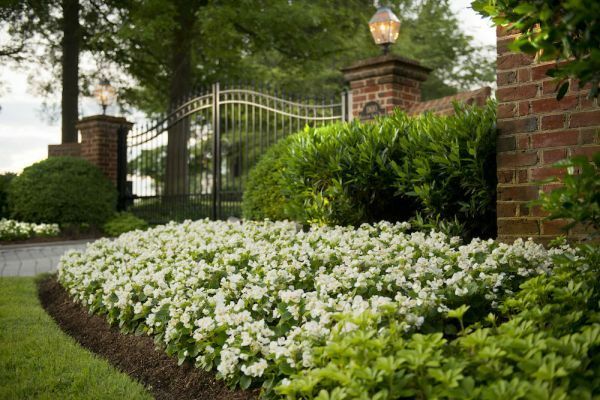 They know the best plants for your area and conditions and how they would work with other features in your yard. They can also protect your investment by avoiding plants that may not thrive in your particular soil or sun conditions. Their vast knowledge will come in handy not only in choosing the right vegetation, but also the right structural enhancements like retaining walls. An experienced landscape architecture firm may have connections in the industry and negotiating know-how to get you the best price on plants and design elements such as paving stones or a fountain. They also have the experience to know what truly makes your space the most convenient and functional for your family and it is their job to make sure to stay on budget. Ultimately, the right landscape architecture firm can provide you with a beautifully designed outdoor space that you can enjoy for years to come while saving you money, time, and aggravation. If you’d like to discuss how our designers can help you, please contact us today.